Has one of the great CVs in the 74-year history of the great race south. Eight line-honours titles (including two race records) and two overall victories, once again will be amongst the favourites especially in the line honours duel. The past three years have not been kind to her having retired in both 2015 and 2016 and then last year was penalised out of the race record and line honours after an incident at Sydney Heads. 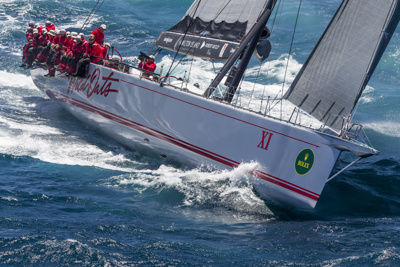 She will have plenty to prove this year with the majority of her strong crew returning to try to write another piece of Sydney Hobart Yacht Race history. “I have a very good feeling about this year’s race from the team perspective. We have a great team of people both on the boat and shore crew and in particular, The Oatley Family,” said Richards.